For breast augmentation patients, our Fabulous Breasts package is available for one all-inclusive price of $8,990. This covers your Specialist Plastic Surgeon’s fee, Specialist Anaesthetist’s fee, all hospital and theatre fees, the cost of your implants and post-operative care. Click here for full details. For other surgical procedures, an initial cosmetic consultation with your Specialist Plastic Surgeon will cost approximately $185 and take around 30-45 minutes. If a Medicare item applies to your potential procedure, then you will be entitled to a rebate from Medicare of approximately $75, providing you have a written referral from your GP or specialist. GP referrals are valid for 12 months and specialist referrals for 3 months. Your Specialist Plastic Surgeon will provide an indication of the likely procedure costs, which will typically include your surgeon’s fee, anaesthetist’s fees, and hospital and theatre fees. Pricing for cosmetic surgery procedures can vary significantly from case to case, depending on the specific extent of the procedure being performed. An indicative pricing range is provided in the FAQ section on each of our surgical procedure pages. These indicative prices include all post-operative care and nurse dressings, and are before any Medicare and private health insurance rebates. The extent of Medicare and private health insurance rebates varies by procedure and patient circumstance. Your Specialist Plastic Surgeon can provide you with more information about this, but you would then need to talk to your private health insurer to determine exactly how much cover they will provide and confirm what your final out-of-pocket costs will be. 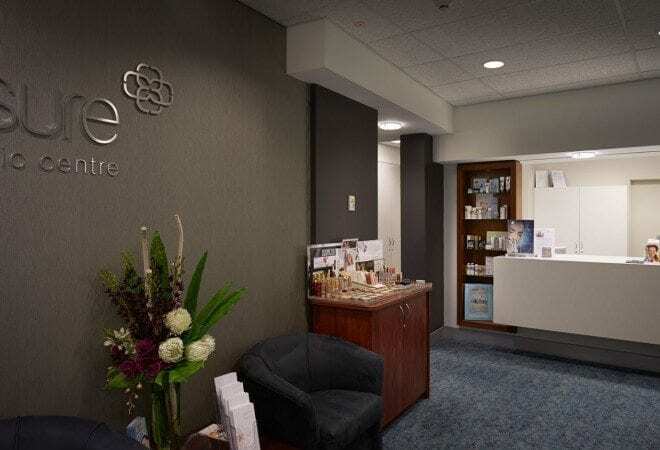 Assure Cosmetic Centre accepts cash, cheques, EFTPOS and most credit cards. All private consultations (excluding initial free consultations) are to be paid for on the day of service. A cancellation fee may apply to Specialist Plastic Surgeon consultations. Cosmetic surgery fees require pre-payment a minimum seven (7) days before the procedure.